GAME of THRONES 2018 PRESENTATION PACK No 551. All 15 stamps. Mint. Royal Mail price £11.20 Dispatched with Royal Mail 1st Class Letter. Free UK p&p. Sent in a card backed envelope to protect your stamps. GB 1979 British Flowers Presentation Pack VGC. Stamps. Free postage!! CHILDRENS TV CHARACTERS. ISSUED IN 1996. GB 1974 Winston Churchill Centenary Presentation Pack VGC. Stamps. Features: Battle scenes as depicted on the Bayeux Tapestry. 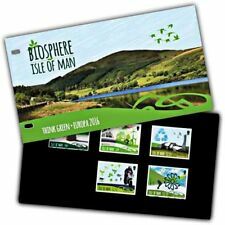 GB 2010-2011-2012 PRESENTATION PACKS INDIVIDUALLY PRICED IN EXCELLENT CONDITION. There are 27 covers in total. 1981 Royal Mail Commemorative Presentation Packs. Sold separately & as year set. 1980 Royal Mail Commemorative Presentation Packs. Sold separately & as year set. British stamp presentation packs are highly collectible items as they celebrate events, people and places close to the hearts of the British public. Designed exclusively for the purpose of collection, they consist of a full set of a new stamp issue and were first created in 1960. You'll find a range of stamp presentation packs with face values from the pre-decimal currency of 1952 to 1971 and the decimal currency face values that have been legal tender since 1971. Whatever style or era you prefer, there's a British stamp presentation pack to suit every taste. From the royal family and nature to sport and film, TV and literature; there are thousands of options to choose from. Whenever there is a royal anniversary, birthday, marriage or death a commemorative stamp presentation pack is produced. Options include the Queen Mother memorial, House of Windsor, the weddings of the Prince of Wales and Lady Diana Spencer and Prince William and Catherine Middleton, and Queen Elizabeth II's Silver and Diamond Jubilees. Animals and their natural habitat feature heavily in British stamp presentation packs. Choose from themes including birds of prey, working horses, bees, pond life, butterflies, cats and plants. Several stamp presentation packs are available celebrating England, Scotland, Wales and Northern Ireland, perfect for the patriotic stamp collector. Over the years, stamp presentation packs have brought to life some of our favourite characters from film, TV and literature. Mr Men and Beatrix Potter stamps will remind you of your youth, while Dr Who and Star Wars will remind you of your present. If you're interested in sport you'll love the selection of stamp presentation packs available. From England's 1966 World Cup victory to the gold medals won at the 2012 London Olympics, thousands of sporting achievements have been commemorated.